HDR stands from High Dynamic Range. In short it is the number of tones that compose the image. The larger it is, the best capability we have to see details in the bright and dark regions of a scene. We mostly use it to prevent burning out bright objects and stars. 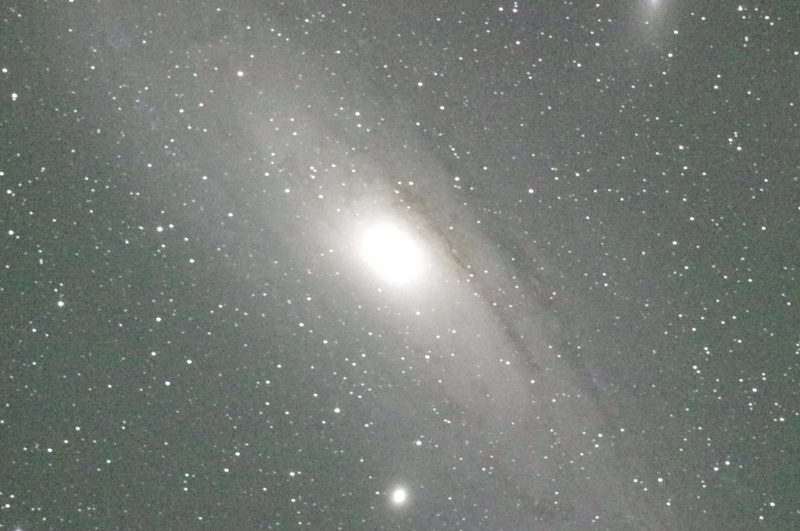 Best way to do it is to take different exposure shots and stack them with DeepSkyStacker or similar software. Most high-end cameras has a build in function to do that. The disadvantage is that the resulting image is JPEG. This is also a quite power consuming process as using the camera image processor. 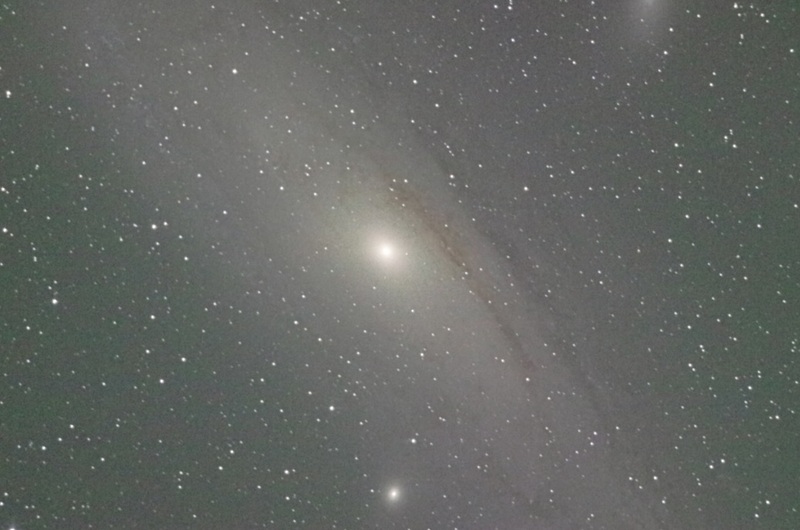 Below are single frame of Andromeda Galaxy with HDR OFF and ON. It is shot with Pnetax k-5. ISO 51200 and 30 seconds of exposure, untouched frame. You can easily see the greatest challenge of this object – bright core and faint outline. The core burn out is suppressed with the HDR function on.